And with a quick Facebook update, many Miami Music Week attendees are shifting their schedules. 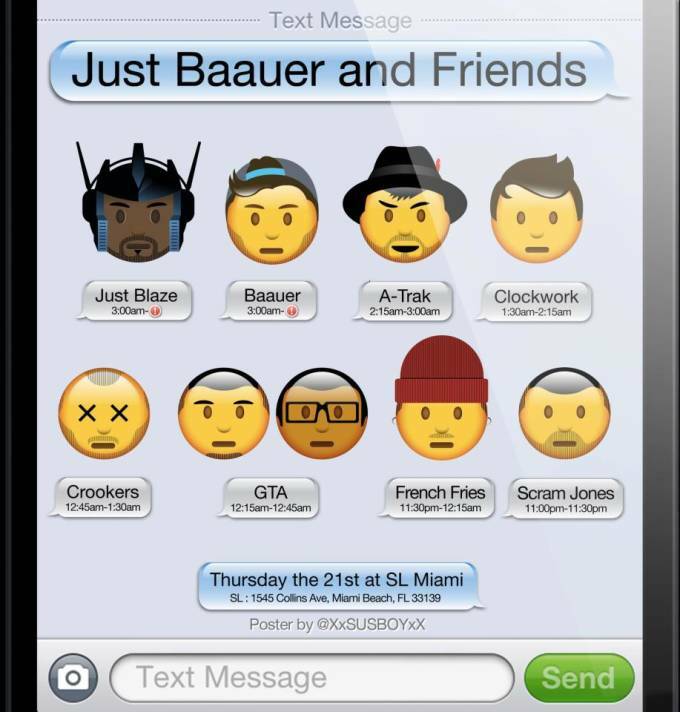 Baauer and Just Blaze are throwing a "Just Baauer and Friends" party on Thursday, March 21 at SL Miami, and he&apos;s bringing along some heavyhitters:, A-Trak, Clockwork, Crookers, GTA, French Fries, and Scram Jones. 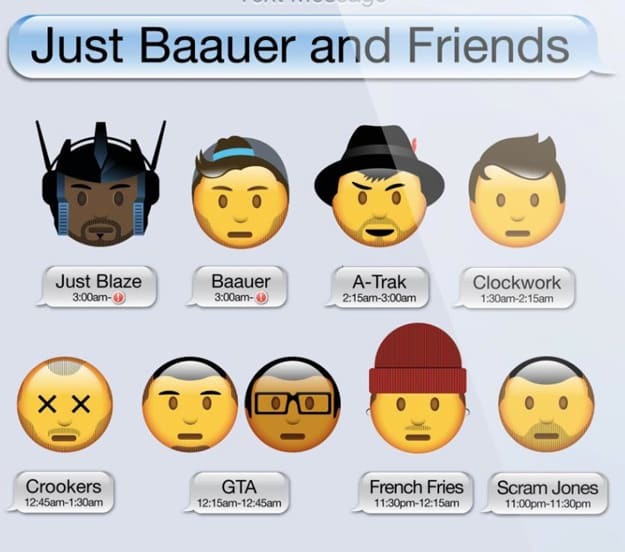 It even looks like Baauer and Just will be going back-to-back. Should be a riot!